Patients with neurodegenerative disease all have disturbances in the endocannabinoid system and cannabis therapy will not only treat the symptoms, these may even mean a cure. All neurodegenerative diseases have one thing in common – dysregulation of specific cellular processes: neurotransmission, oxidative stress, activation of immunomodulatory cells (called microglia), and maintaining proper rates of protein turnover in the brain and spinal cord tissue. 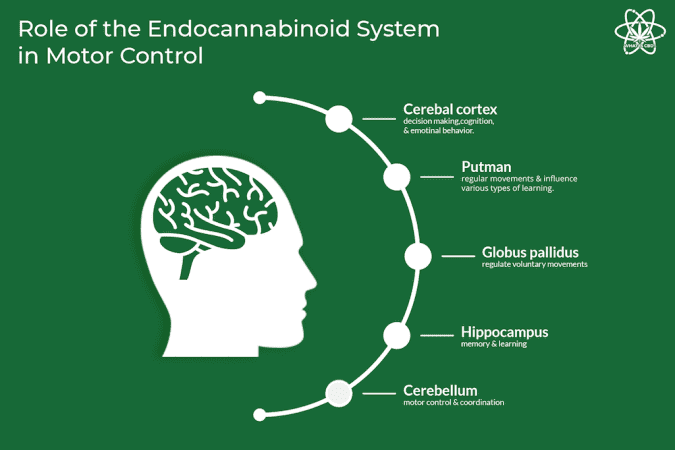 It has also been found that the endocannabinoid system (ECS) is deranged in these diseases. Could cannabis therapy correct this? 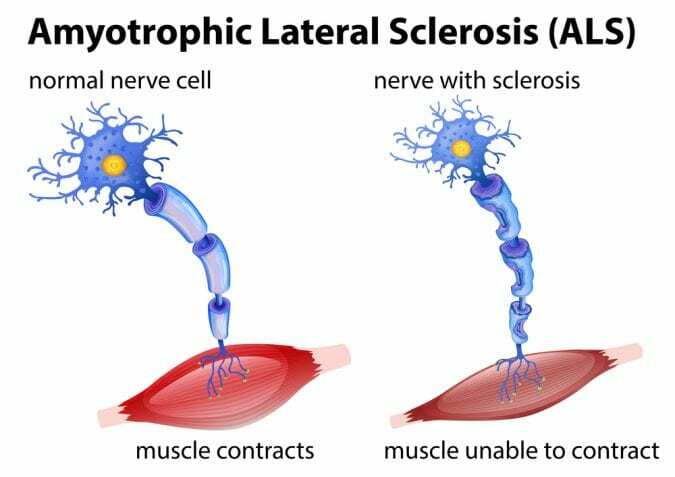 Current therapeutic strategies for different neurodegenerative diseases, such as Alzheimer’s (AD), Parkinson’s (PD), Huntington’s disease (HD) and Amyotrophic Lateral Sclerosis (ALS) are aimed at improving symptoms such as tremors, anxiety, and irritability. There is no pharmaceutical intent to reverse the neuropathology and there is no cure for these diseases. What if there was a smarter approach? What if the “golden medicine” for these diseases would be something that repairs what is wrong at the cellular level and reverses the pathology? Research is trying to find out if this is cannabis. Generation of reactive oxygen species in the brain, which creates a vicious cycle of inflammation. Interestingly, the ECS has been found to be out of balance in the post-mortem brains of AD, PD and HD patients. For Alzheimer’s, there is a downregulation (meaning a decrease in the number of CB receptors) in the areas of neuroinflammation and A-beta plaques. Alternatively, there are areas of upregulation (increased volume of CB receptors) in segments of the brain that do not have plaques. Parkinson’s patients have similar changes in regulation of ECS. 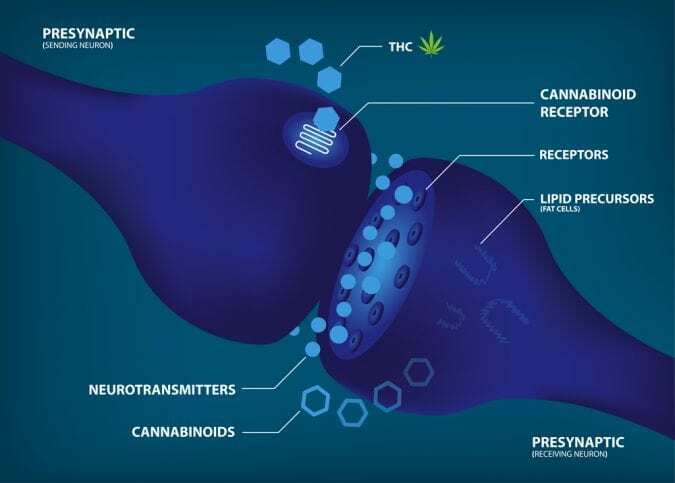 Image credit: What Is CBD? 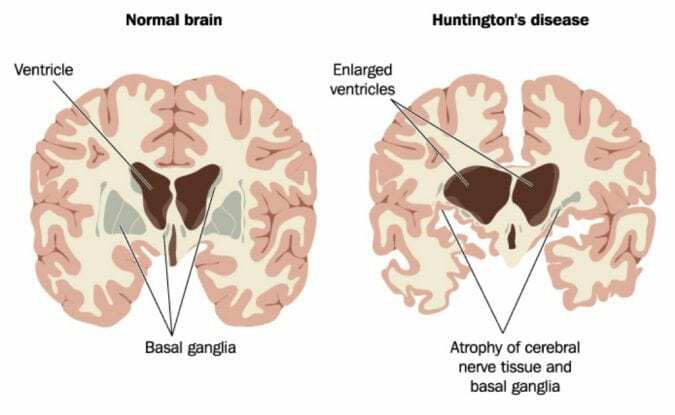 In Huntington’s, there are less CB1 receptors in the brain, while CB2 receptors are increased for the areas of neuronal loss. Although HD is a genetic disease, caused by mutation in the gene encoding protein huntingtin, cannabinoids have been described as neuroprotective agents for HD patients. How Can Cannabinoids Fix This? In preclinical studies, it has been shown that regular administration of CBD or combination of both CBD and THCreduced the cognitive impairment in two different mouse models for Alzheimer’s. THC has also been found to directly interact with A-beta, preventing its aggregation . Furthermore, the activation of CB1 and CB2 receptors gives protection against neuroinflammation and has detoxifying effect by reducing oxidative stress. The latter is another mode by which cannabinoids can treat neurodegenerative disease. 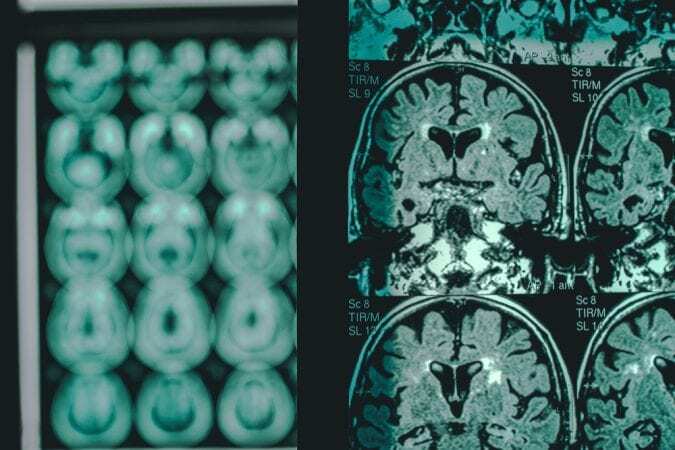 Since Parkinson’s is characterized by abnormal dopamine neurotransmission, therapies aimed at increasing dopamine would be beneficial. Blocking CB1 receptors has been found to enhance dopaminergic transmission. THCV, at low doses, has also been shown to have therapeutic benefit in rat models of Parkinson’s. THCV activates CB2, while blocking CB1 and has antioxidant properties. Similarly, THC and CBD have been found to restore dopamine levels in another study. Additionally, CBG stopped the loss of dopamine neurons in a mouse model by decreasing inflammation. CBG has also been found to be therapeutic in HD, as was CBD. It has been suggested that the effects of CBD and CBG in HD are independent of their actions on CB1 and CB2, and that their action is through other receptors. 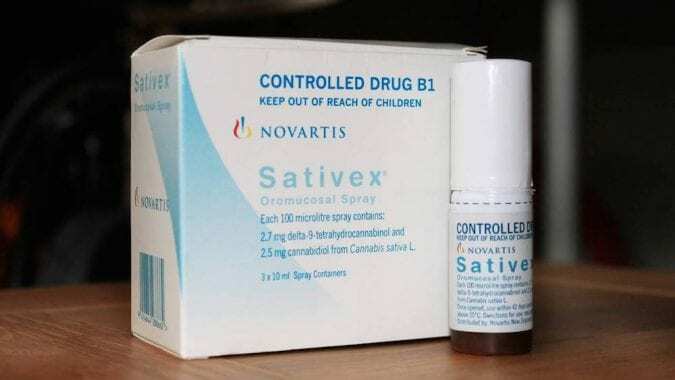 Finally, Sativex ®, a 1:1 mixture of THC and CBD has been found to preserve neurons in HD animal models. Although neurodegenerative diseases differ in terms of which neuronal populations degenerate, they have almost all of the hallmark neuropathologies in common, all of which can be acted upon by cannabinoids. Similarly, each neurodegenerative disease has a unique alteration in ECS, and these should be taken into account when designing cannabis therapy. For example, a potential winning strategy for AD would be a 1:1 combination of THC and CBD because it has been shown that administration of both is more effective and because of the fact that the psychotropic properties of THC are countered by CBD, and such therapy is expected to be well tolerated among patients. 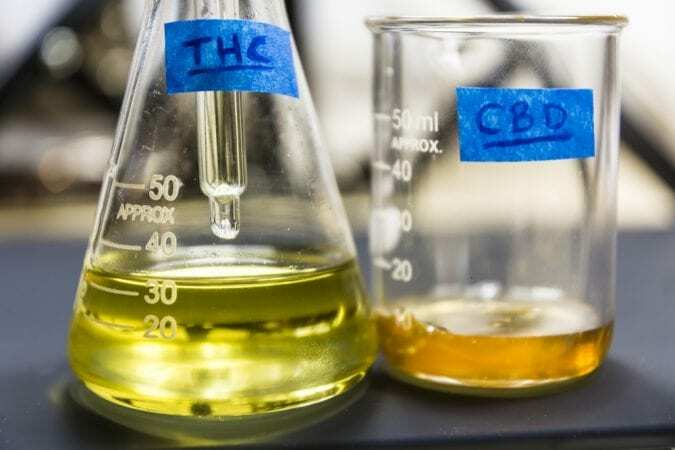 A similar strategy could be employed for Huntington’s Disease, and also CBD and CBG, as they have shown promising anti-inflammatory and antioxidant properties for HD. In Parkinson’s, targeting CB2 receptors might be most beneficial. THCV is thus an attractive candidate because of its ability to block CB1 and activate CB2 at the same time. In the end, the ability of cannabinoids to restore the cellular processes that are deranged in neurodegenerative disease is exciting and promising and may be the winning strategy. More importantly, such approach would arguably have more chance in curing the diseases, as opposed to just relieving the symptoms.